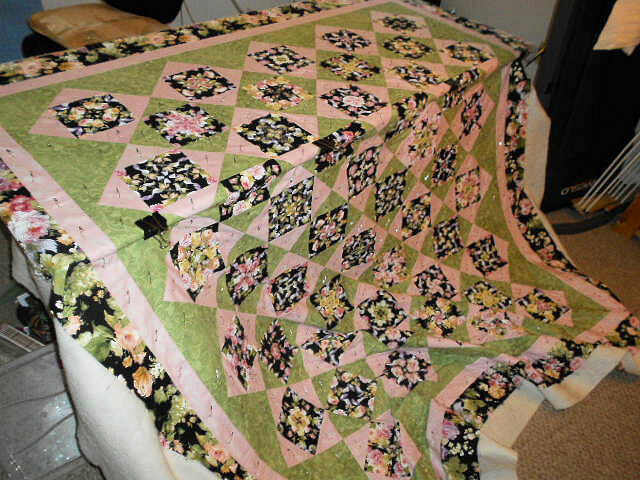 Tho I didn’t get to any actual quilting, I did pull another top out of the closet, piece the backing and get it all pin basted. This one’s been sitting in the closet for a while – a four patch posey – similar to a stack ‘n whack quilt except it’s done with four squares with the same repeat of the print on them. 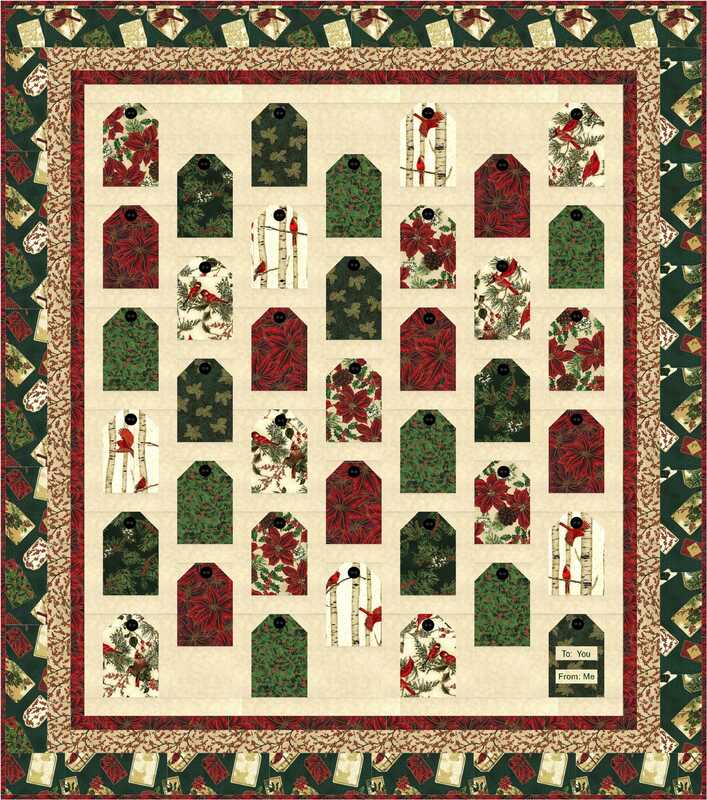 I used a smaller rose print for the 4 patch blocks and a companion print of larger roses for the border. Now I just have to figure out how I want to quilt it. What to work on today? Today started out with a trip out to breakfast, stop at the German bakery for some yummy rolls, then it was on to the bookstore. There was a specific book I wanted to buy as a gift. Checked the shelves – not there, went to the customer service desk – not in the store but they would happily order it for me. 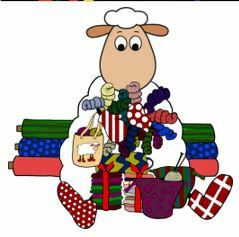 Heck, if I have to order it I can do some shopping on line myself and see where I get the best deal. So left the bookstore with nothing (which it highly usual since I usually find some book I need for myself). Next to the quilt shop for something I needed to get to send to a friend. Also restocked on the batting since I only have smaller sections left after the vacation quilting frenzy. Some more floral fabrics for my Bloomin’ Baskets Swap blocks and the fabric on the left is a great wicker looking print for the baskets. 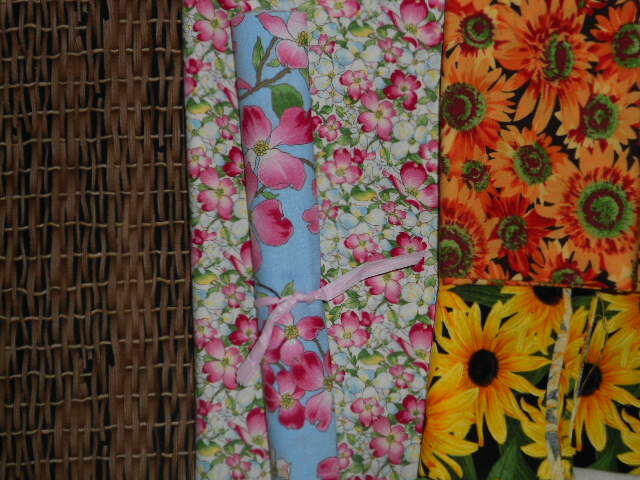 I think I have plenty of flower fabrics now to make all my swap blocks and then some. 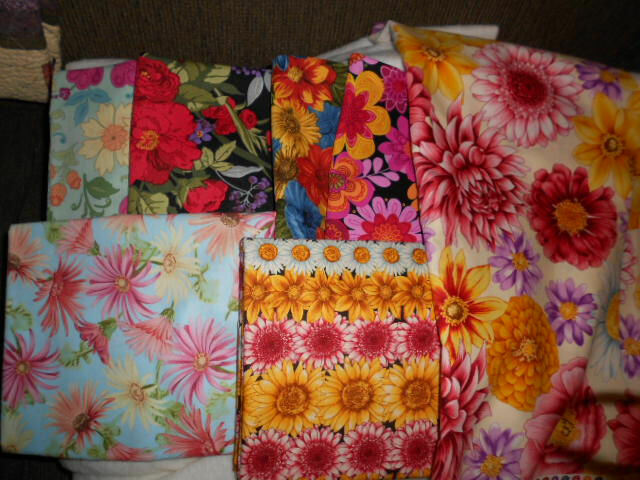 I had ordered some floral fabrics on line that were on sale which I have now received. The only thing was the description of the fabrics didn’t say how large the flowers themselves were — no scale was given. But I decided to order them anyway — if nothing else they will be used to piece backing for the Bloomin Baskets quilt after the block swap is done. Check them out below. They are all pretty fabrics but all pretty much too large a print to use for the swap blocks. That one on the right tho — I can totally see those huge lovely flowers raw edge appliqued into a quicky wallhanging of a big wicker basket full of those flowers, adding some greenery in with them. 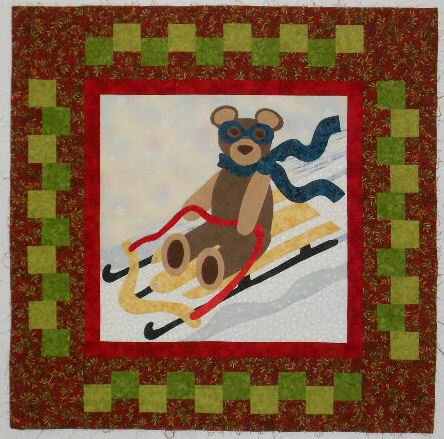 So, now that I have more batting — time to go figure out what project I want to quilt next.